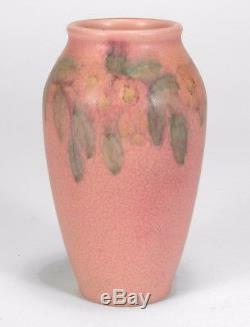 Here is a nice Rookwood Pottery wax matte vase by Katherine Jones. 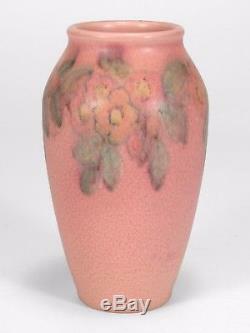 It has a floral design around the shoulder and is glazed in curdled, pink, red, and green with yellow centers to the flowers. 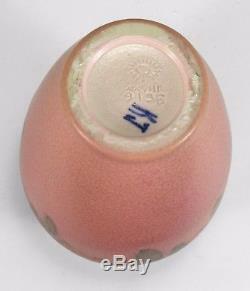 It measures 6 1/2 inches tall and 3 3/4 inches in diameter at the widest. 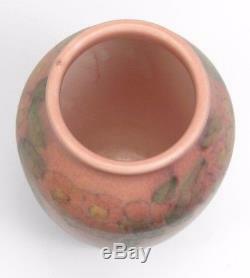 It's in great condition with no chips, cracks, repairs, just a tiny bubble at the rim. 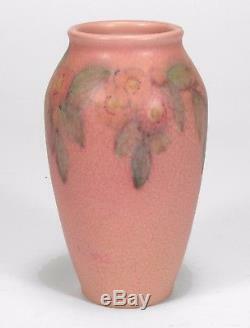 Marks include the firms die-stamped RP mark, XXVIII for 1928, Katherine Jones's KJ signature in black and shape number 913E. 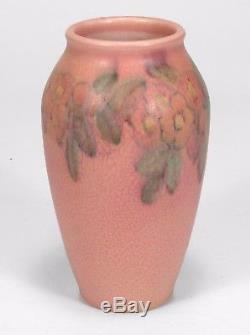 A good colorful example of decorated Rookwood Arts & Crafts ceramics. 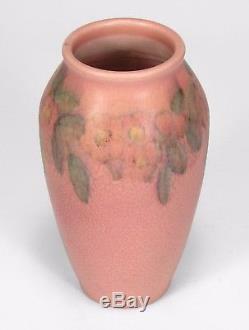 The item "Rookwood Pottery pink green wax matte floral vase 1928 Arts & Crafts K Jones" is in sale since Tuesday, November 7, 2017.